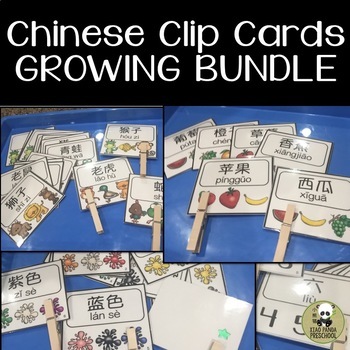 Meet all your Chinese vocabulary needs with this Chinese Clip Card bundle. It includes all current and future vocabulary sets: family, colors, numbers, fruits, animals, etc. It is perfect for a literacy center or a partner activity. Students can check their own work and review important target words.